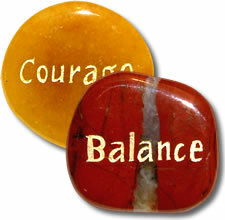 Pocket Stones™ are remarkably comforting to patients as they go through sicknesses and recovery. Pocket Stones™ also help doctors, nurses, therapists and other caregivers, who find comfort and strength in them for their emotionally stressful work. Pocket Stones™ can be a gentle and soothing reminder of life's blessings.